Hello everyone! Just dropping by to post some progress reports of my current project. Before reading further; please note this and keep the discussion on-topic. For now, the project is named “jEndlessOnline,” solely to reach out to the dying community Endless Online left behind and grasp interest into a new game. For the last month or so, I’ve been working on and off with a new game engine, inspired by the classic “Endless Online.” This is entirely coded in Java, to allow for cross platform support. Some important notes; I’m using LibGDX for the client, and I’m building my server model off of Java’s NIO library. I’ve got screenshots from past attempts, and I’ll save the most current for last. This is the first successful rendering of the map, and player. Currently without animation, I had felt some sort of success. 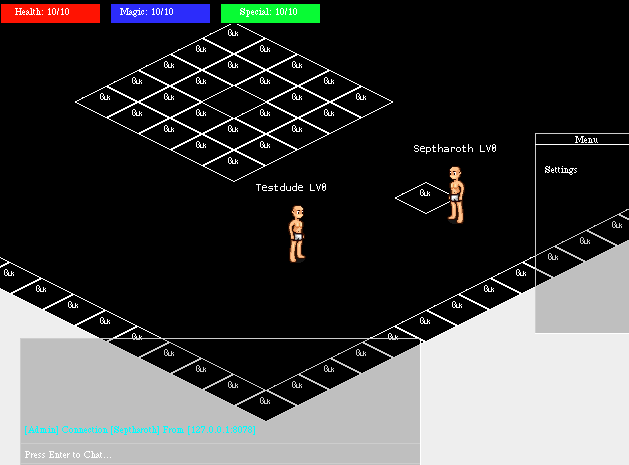 I then worked out a basic camera system, animation, and player movement. Soon after; I added basic methods for displaying Player properties (HP/MP/SP), I also created temporary objects for an ESC Menu and Chatbox. These would be removed after finding an artist of some sort. After an annoying battle with understanding how networking really works, I successfully rendered other players to the screen, as well as displaying Admin Chat logs. This is where I decided to restart the project. Since then, I’ve moved on to using LibGDX and would not regret it one bit! So far, I’ve implemented my connection class, and have basic login functions working again. I will post progress as I continue to reach where I once was. Here are current versions of Main Menu & then a Character Selection idea. As I progress with this project, I will be seeking pixel artists as that will be seemingly the hardest position to fill. Once I’ve got a better model to show off I’m sure it will be easier. But, let me know what you guys think of the idea. Give me design ideas, what you think I should add to the game, and I will share my progress at least weekly. To clarify, you coding the engine from scratch? Any plans to release the code, or is it just for your game? I’m still in super early stages, and not exactly clear on if I want to make this an open source “ORPG Maker” engine, or if I’d rather create my own game. Think I’m leaning more towards my own game. 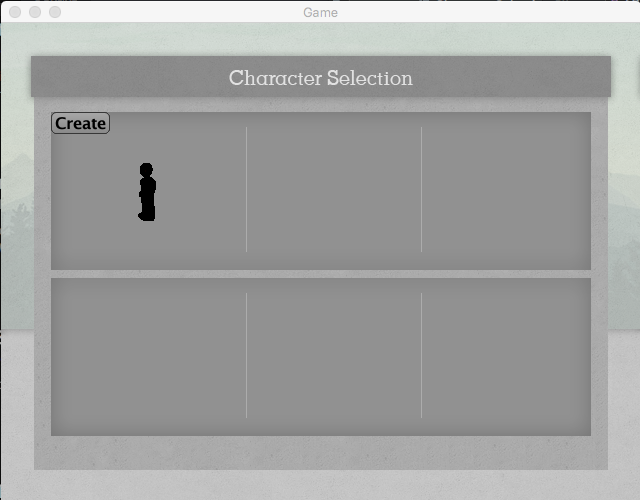 The sprite in the Character Select screen is also just a placeholder for positioning ideas. But, if I do end up releasing it; it most definitely WILL be open source. And yes, I am coding this from scratch… I guess? 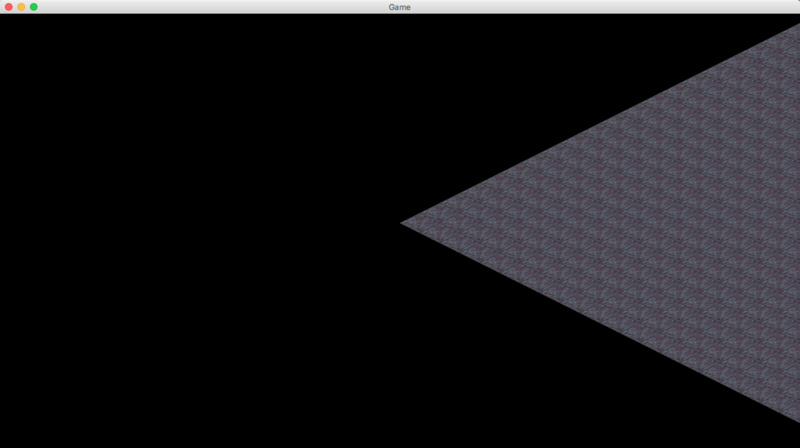 I mean using LibGDX definitely will speed up the process in which I can code the engine. After an annoying battle with understanding LibGDX tables, I’ve finally got a decent structure for displaying character(s) within their cell. Black silhouettes would show that this is an empty character slot. As of now, there is no form of networked methods and simply a test for displaying images and buttons properly. The create button was there to test if my table structure was proper and if I added a button to the CharacterTable at Position 1,1 (being character 1, slot 1) and obviously will not be there on the final code. I’ve also begun rendering maps and camera/viewport resizing to prevent loss of quality on full screen/maximizing the client. Player rendering! Now onto collision detection & render order; including basic in-game UI scenes, following will be going back to the server to start handling networked players, and chat messages as right now you can only log in to the game and see only yourself. I’m working more on serverside stuff for the day! I’ll post when I have enough work done to use in the client. Unfortunately, I’m waiting for graphics for scene2d so I had to take a break from working on client features as it currently sits.